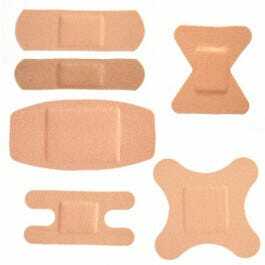 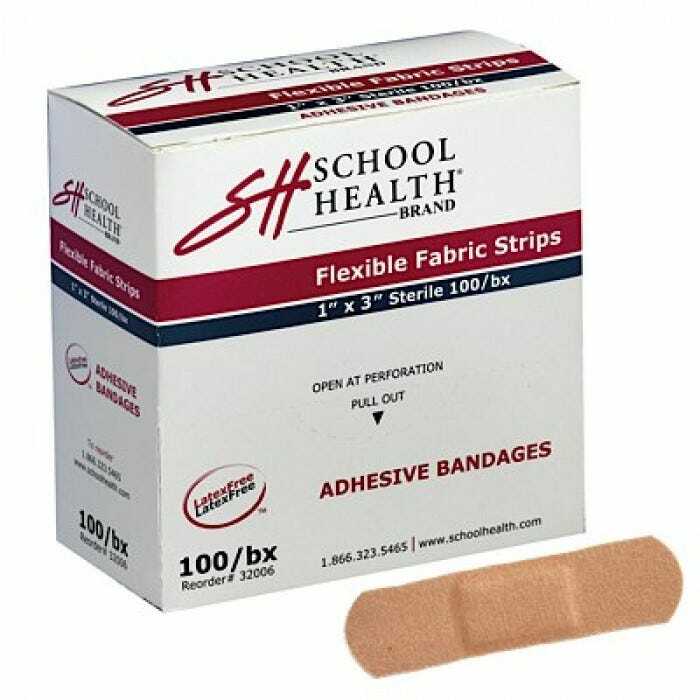 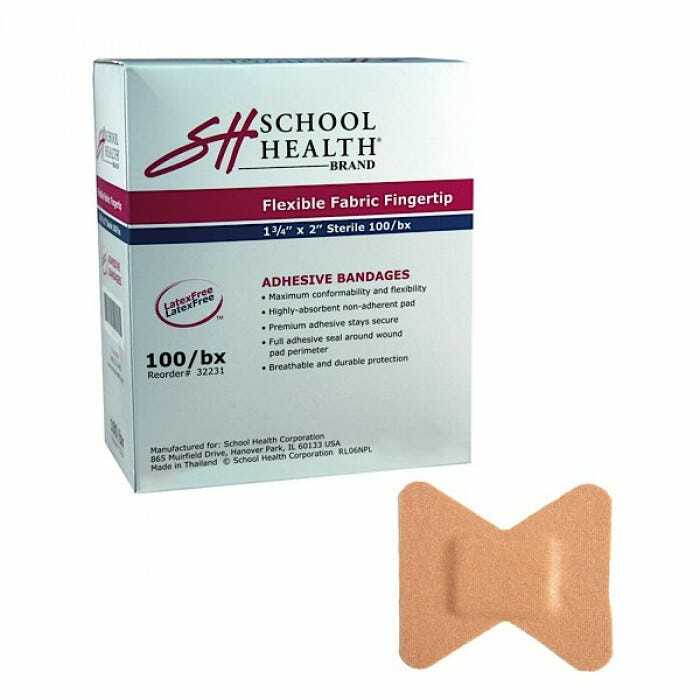 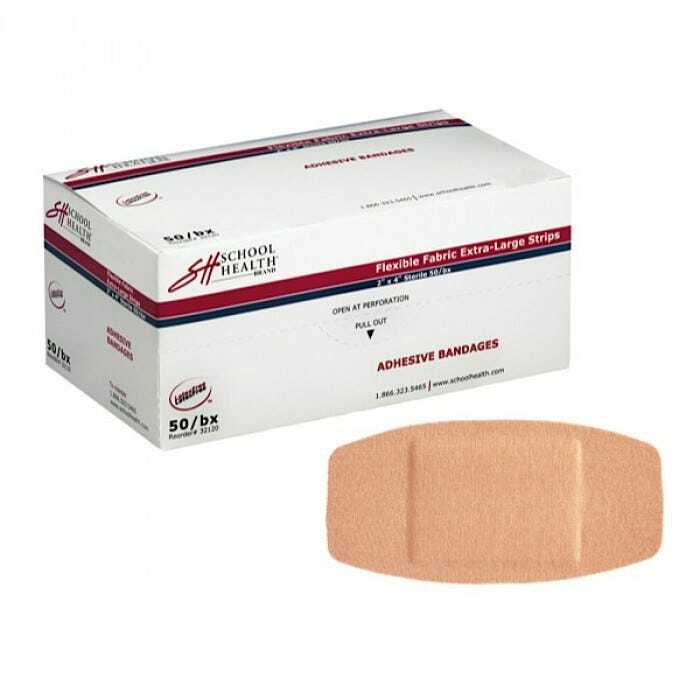 School Health Brand flexible adhesive fabric strips are a latex-free bandage solution that offers great performance while protecting your budget. When minor cuts and scrapes become dirty or infected they can become more painful and slower to heal. 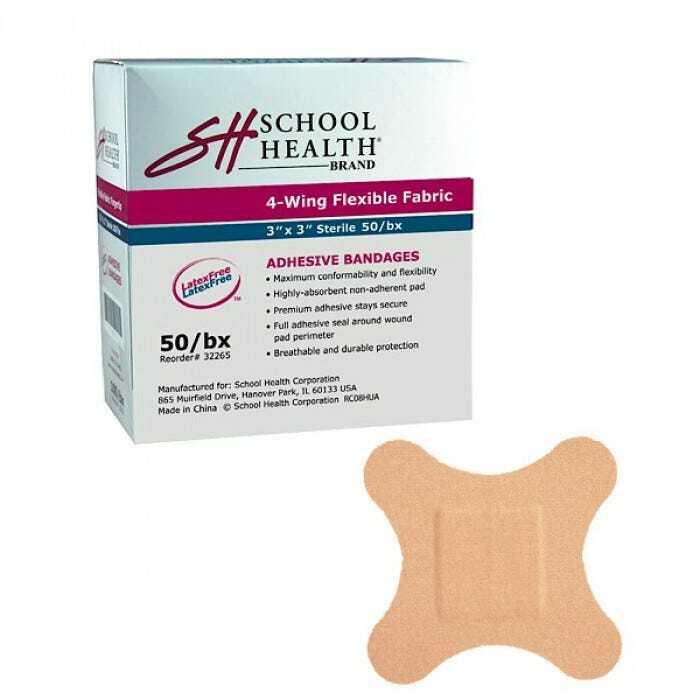 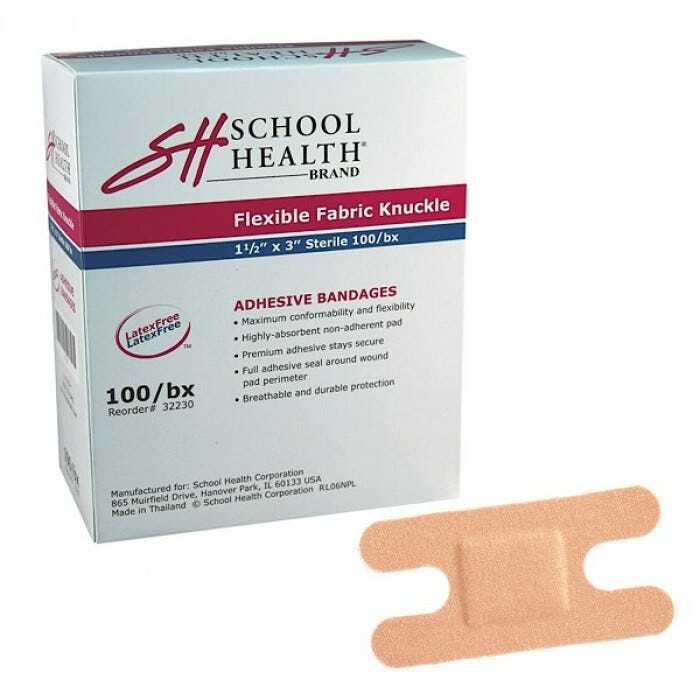 School Health Flexible Fabric Strips protect against dirt and infection, and allow minor injuries to heal more quickly! 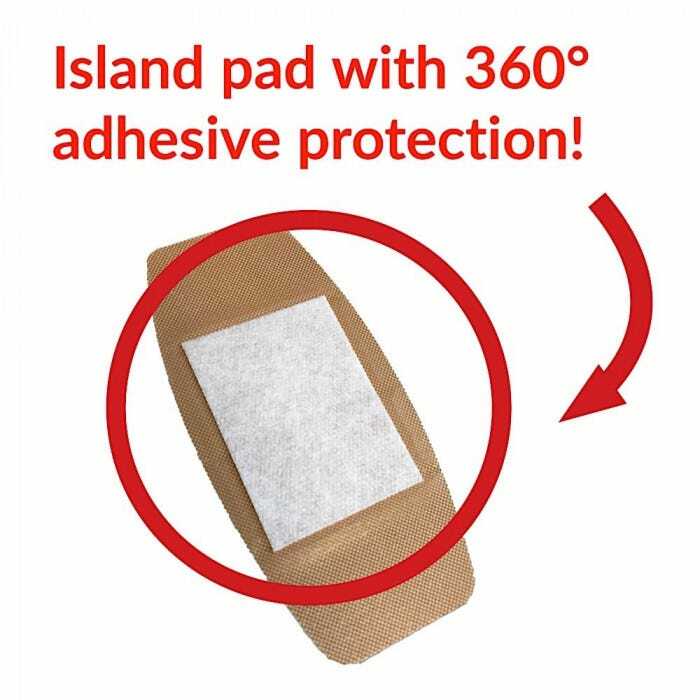 Highly-absorbent wound pad with 360 degrees of adhesive protection.